Start to create a website by signing up below. No web design knowledge needed. No credit or bank card required. You have 30 days to try create a website using Easysite. I'm over 18 and agree to the terms of service. We value your privacy and would never spam you. Sign up and create a website free for 30 days. Use our site builder, hosting, and shopping cart software to create a website. Change your template to the look you want. Upload a banner and logo, change background colors. Make your new website yours. Tell the world all about your business by adding your content to your new website. Its quick and easy no coding knowledge needed. Create an online shop in minutes with a secure payment gateway. Shopping cart software is included when you create a website. Make a website using Easysite and your new site will look great on any device its viewed on. All templates are responsive. Top level support when you need it. Call: (877) 832-7974 and we will call you back and help set-up your site over the phone. Easysite has all the features and tools you need to create your perfect website in a few easy steps. Easysite has been designed for the small business that would like to create and update their own website with out having to learn HTML coding. Easysite makes it possible for just about anyone to be able to create a website. Create a website free and see how it all works. That's right you can now learn how to create a website free with Easysite for 30 days. No credit card required. No coding or web design knowledge needed. Start to make a website with an easy to use site builder that does all the coding for you. After your free 30 day trial or if you make a payment we will give you a free domain name for life. If you decide to leave us we will transfer your free domain name to a domain registrar of your choice for free, no questions asked. If you already own your domain name we can point it at your new website. More and more people use their mobiles to search the web. All our templates are fully responsive, that means that when you create a website using Easysite it will look great on any device you visitor views it on. It's important that when you create a website you have a responsive web design. Your website needs to be fast loading and available 24/7 that's why we have fast reliable hosting. Easysite offers you a website hosting services that comes with great bandwidth. Our servers are located in the USA making them ideal for websites that are built and rank in the USA. 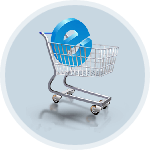 Create an online store complete with shopping basket and secure online payment. We include Ecommerce shopping cart software for free. No limit on the amount of products you sell when you create an online store using Easysite. Open your online store today and start selling online. We only have one package so no matter what software you use on our website builder you won't need to upgrade or pay more. Unlike others website builders that start off free and force you to upgrade to create a professional website costing you more. With Easysite you know exactly what you get. Anyone can learn how to create a website with no programming knowledge. No complicated systems, no software installs, and no more depending on high-priced web developers to create your site. 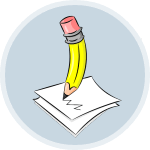 If you can write a few sentences and click a mouse you can make and update your site yourself. Call: (877) 832-7974 for help. 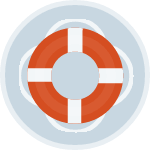 We offer our help service free. If you would like us to guide you step by step when you create a website please request a call back. One of our support team will call you back on the phone and help you set-up and create a website for you or your business. 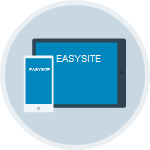 Creating a website with Easysite is Easy. Easysite has hundreds of features to help you drive more traffic, convert more visitors and grow your business. Build a simple website or create an online store the choice is yours. No technical skill required. Change anything you want, add text, images, videos and more. Tell the world all about your business. It's the best way to create a website from scratch no coding knowledge necessary. 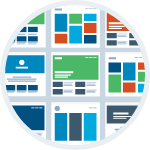 No downloading software, our free trial site builder is all you need to create a new website. A few years ago most sites were built using HTML (code), and CSS by web developers. Platforms like Easysite now make it possible for people just like you to make your own website. CALL: (877) 832-7974 and we will call you back, answer any website building questions you might have. We can even help set-up your site over the phone. Are you a small business? Looking to learn how to create your own website. Easysite has been designed for beginners. The website builder has all the features required to create a website from scratch. Even if you're not very technical. We offer free help and consultation by phone and via email. We are more than happy to get you answers and clear up any questions you might have about creating your own website. Why use our free trial website builder? #1. Easysite is total FREE to try for 30 days with lots of responsive layouts/templates to choose from. Use all the features, try them yourself and see how easy it is to design/create your own website. Easysite includes everything you need to get an online presence. Being a free trial website builder means you get to try before you buy. Just like buying a car, take Easysite for a test drive and see if its right for you. #2. Our website builder is EASY to use and VERY beginner-friendly. Adding content is quick and easy. If you have ever used Microsoft Word or an editing program you know how to add content to pages. Easysite comes with lots of features you would expect from a high quality website builder. #3. Large or small website? Great for both. There is no limit to the amount of pages you can have, and no extra costs as your site grows. From basic blogs to beautiful business websites and online stores, Easysite can handle just about any kind of website. #4. Your new website is responsive. This means it will look and work great on any device its viewed on. The website you create will look good on mobile devices, smartphones and tablets. Each of our hundreds of free templates are fully responsive. #5. Create an online store with shopping cart and secure payment. We include an online store page This means that opening an online store does not cost any extra. Sell 10 items or 10,000 items from your store the price is the same. #6. FAST reliable hosting with back-up. Its important to have fast reliable hosting. Hosting plays a huge role in the success of your website. We know this that's why when you create a website using Easysite you can rest assured your site has top level hosting that's backed-up. (Be wary of free website builders and cheap hosting. Remember you pay for what you get). #7. No CODING knowledge required to build a website but advanced web developers can add their own CODE. You do not need any coding knowledge to create your own website using Easysite. But if you would like to add snippets of code you can. This is great if you have a little knowledge of coding and would like to tweak your design. #8. FREE TELEPHONE support to help set-up your new website. Have a question? CALL: (877) 832-7974 and we will call you back, answer any questions you may have about the building process of your new website and even help you set-up your site for free over the phone. #9. PRICE how much does it cost to design your own site using Easysite? The first 30 days is FREE. After or any time during your free trial you may make a payment. Easysite will cost you $19.95/monthly. No upgrades. You get a FREE domain, FAST reliable hosting from servers in the USA, Ecommerce software, and the Easysite website builder. We personally invite you to try creating your own website using Easysite and see how easy it is to make your own website - Remember CALL (877) 832-7974 if you have any web development questions or would like us to help you set-up your new site over the phone. Clark Bartram says "Creating a website using Easysite was a breeze, even though I new nothing about coding. I added the pictures and content myself if I can do it you can to, it's so easy. Guys, "I'm" telling you that the best way to build a website is to use Easysite." Sam Feliccia says "I just want to let you know we went crazy trying to find out how to create a website until we found Easysite. Easysite is a great way to learn how to your own website, no coding just add your pictures and content and publish. Thanks Easysite." Terrance makes great music. 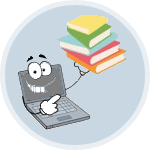 He says "Easysite is easy to use, and if you are thinking of starting a website use Easysite as its easy and simple to set-up and sell stuff online. It's a fantastic way to build your own website and advertise your business online." Karyn says "Being a small business owner she needed a website and built a website using Easysite. She found it really easy to use and customer service is great. She even lets her daughter use it for a personal website." Easysite is located in North County, San Diego, USA. You get a free domain, hosting from San Diego servers, eCommerce software, a easy to use site builder and lots of help from a great San Diego web design support team when you create your website using Easysite. Did you know we can also build a website for you using Easysite. Our web development team can develop your new site for you. Once done you can update and add more content yourself, create my website.